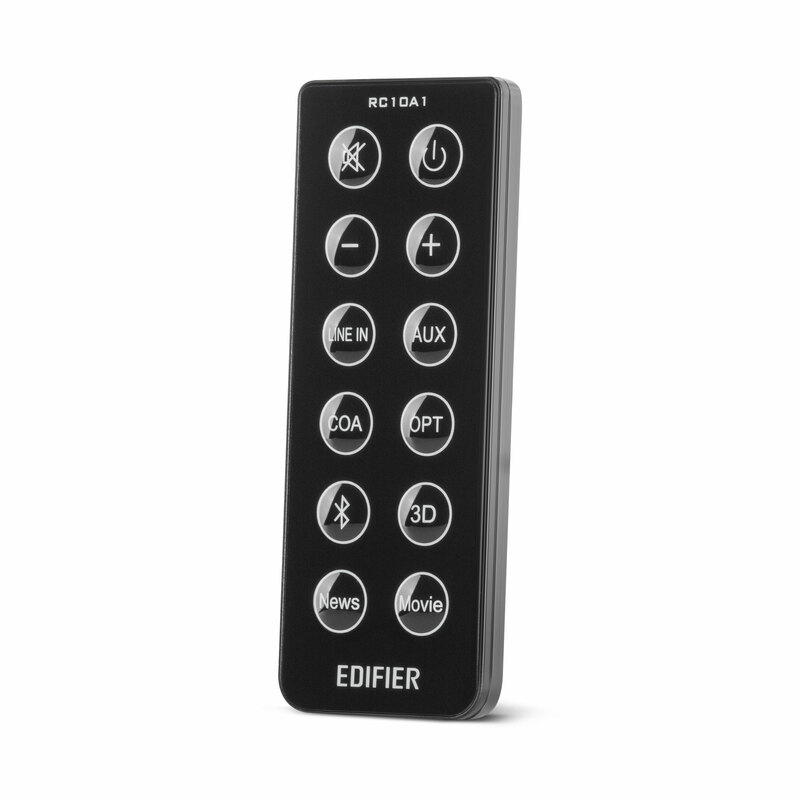 Edifier's B3 sound bar is loaded with four 70mm speaker units for rich lows and mids, as well as two 19mm tweeters for clear highs. At maximum setting, B3 can unleash 100 dB of room-filling sound. And armed with DSP (Digital Sound Processing), the sound bar is engineered for rock solid performance. B3's optical input delivers lossless audio. Coaxial, RCA Line In and auxiliary inputs are also available, so the sound bar can be connect to your TV, game systems, Blu-ray players and other sources at the same time. That means all your favourite entertainment are ready to go, whenever you want, without the hassle of switching wires. 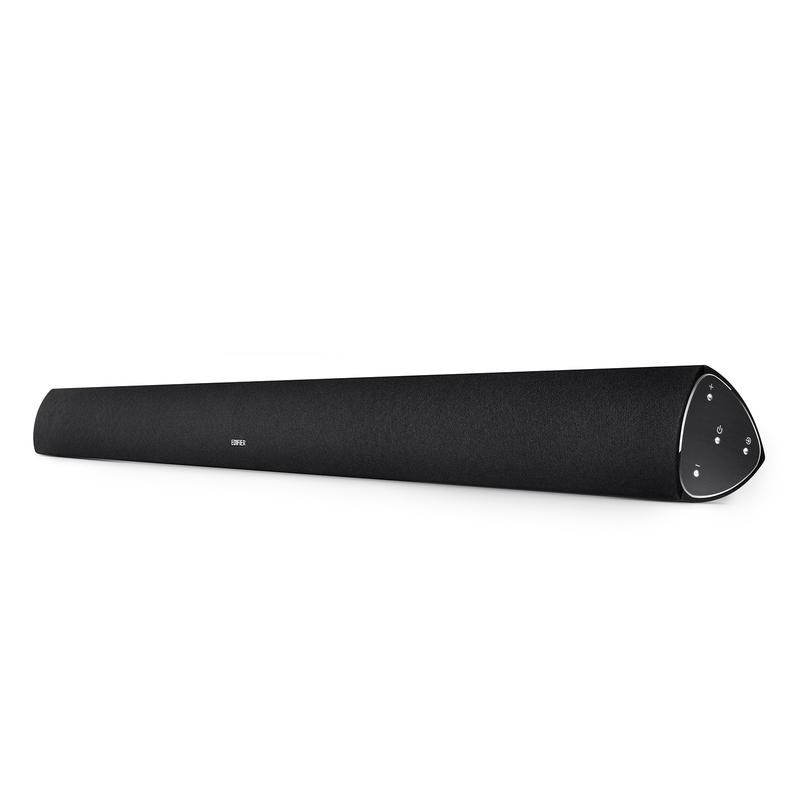 Take full advantage of B3 Soundbar from the comfort of your couch. 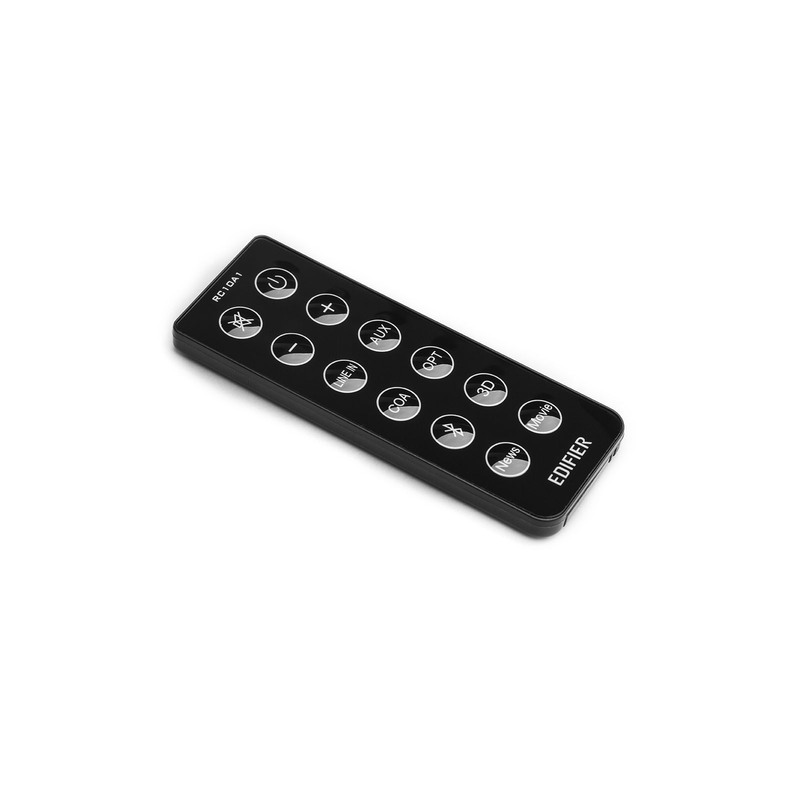 This 12-button controller allows you switch between linein, AUX, coaxial, optical, and Bluetooth inputs. Adjust audio control with volume up and down buttons along with a mute button that will also unmute your speaker bar. Switch between 3 distinct EQs: 3D, News and Movie.